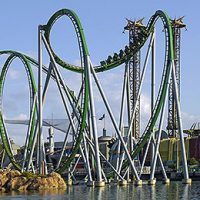 Sure, roller coaster rides, fireworks and characters score big with the kids at Florida’s famous theme parks. But what if you want something different? 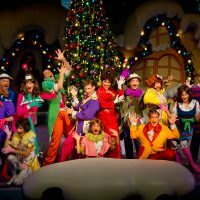 Consider these impressive behind-the-scenes theme park tours, which include options for families with tots, teens and kids in between. 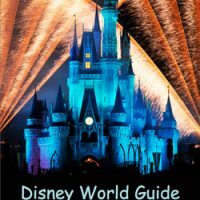 Are you hoping to make a visit to Walt Disney World Resort extra special for young children? 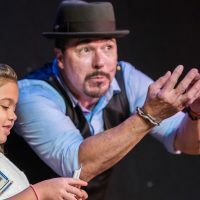 Look no further than the Family Magic Tour, an interactive guided scavenger hunt through the Magic Kingdom, which promises tons of family fun and surprises around every corner. Perfect for the grade school set, the two-hour tour takes guests on a quest for clues to defeat an evil Disney villain. 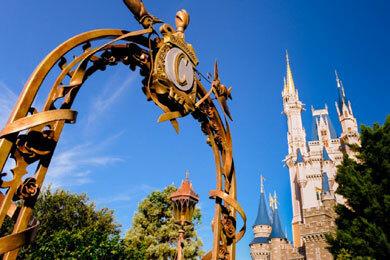 Participants will hop, skip and sashay their way down Main Street U.S.A. and through Tomorrowland and Fantasyland, enjoying coveted perks, like front-of-the-line access to select attractions, as well as a private audience with some very special surprise Disney characters. The pace of the tour can be adjusted to the age-range and overall size of the group. Children under 3 are admitted free, but will probably be too young to fully enjoy the experience. Wear comfortable walking shoes, be sure to bring extra water and plan for a stroller for small children. Theme park admission is required and is additional. Call 407-939-8687 or Disney World’s Web site for more information. Kids ages 8 and up won’t want to miss Wild Africa Trek, a behind-the-scenes tour highlighting areas of Disney’s Animal Kingdom that are otherwise off-limits to regular guests. During the three-hour guided adventure, trekkers will get an up-close look at exotic wildlife like giraffes, elephants, lions, wildebeest, zebras and gazelles as they visit a private safari camp and explore untracked terrain. 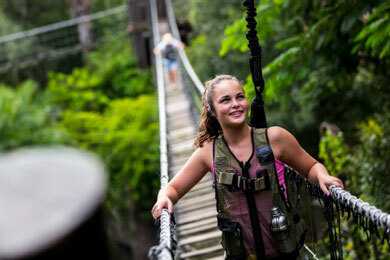 Highlights of the Safari River Valley area tour include an opportunity to traverse a rickety footbridge and “hang” over hippos and crocodiles (while attached to a safety harness). The trek also includes a sumptuous safari snack, served at the scenic Outlook Lodge. You’ll enjoy tasty treats like brie, yogurt, smoked salmon and fruit (breakfast), or curry chicken salad, tandoori shrimp, hummus, pita bread and fresh fruit (lunch), all served in a safari lunch pail. Tour-goers are not allowed to carry items other than a camera (a strap is needed). Lockers and a refillable water bottle are provided. Tour-goers must be in good health, be comfortable with heights and be able to negotiate some unsteady surfaces. Participants receive a photo CD of their experience after the tour is completed. Seasonal discounts are available. Call 407-939-8687 or visit Animal Kingdom’s Web site for reservations. For teens considering a career in marine science, one very special experience at SeaWorld Orlando just might open the doors to a paid position pursuing a lifelong animal passion. Open to guests ages 14 and up (and to 13-year-olds with a paid adult chaperone), the “Marine Mammal Keeper Experience” is available exclusively at SeaWorld’s Orlando park and takes participants behind the scenes to get up close with wildlife. Here, they’ll interact with and learn about the care, feeding, breeding, rescue and rehabilitation of a myriad of amazing marine creatures, from dolphins and manatees to beluga whales and sea lions. The intensive 8-hour experience isn’t cheap, but for those looking to go in-depth and glean inside knowledge from experienced professionals, it’s a solid investment. Lunch, SeaWorld Orlando admission for 7 consecutive days, a souvenir T-shirt and use of a wetsuit are included in the program cost. Professional photography is not available, but you can bring your own camera. For a more extensive educational experience for students in grades 7 to 12, “Career Camp” is a six-day summer program that offers hands-on learning at SeaWorld Orlando, Discovery Cove and Aquatica, SeaWorld’s waterpark. Spots are limited. For younger siblings, behind-the-scenes touring options at SeaWorld Orlando include a 45-minute “Penguins Up-Close Tour,” a 60-minute “Dolphins Up-Close Tour,” a 60-minute “Sea Lions Up-Close Tour” and a 90-minute “Behind-the-Scenes Tour. For ages 8 and up, there’s a 60-minute “Wild Arctic Up-Close Experience Tour.” Park admission is additional and required. Most programs are discounted for children ages 3 to 9. Call 1-888-800-5447 or visit SeaWorld Orlando’s Web site for more information. Have you always dreamed of being an animal trainer? 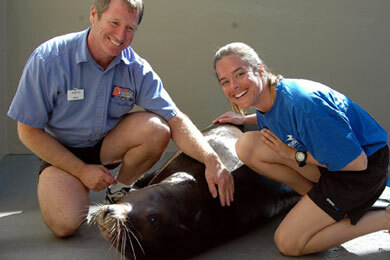 Or do you want to treat a special someone with a passion for marine mammals to the experience of a lifetime? 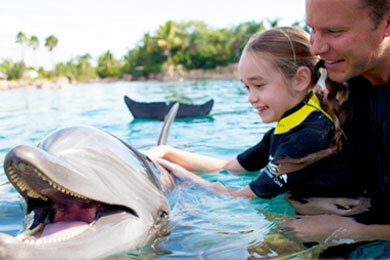 If so, Discovery Cove‘s “Trainer-for-a Day” program will fit the bill. Rates aren’t cheap and vary upon the season, so the big-ticket splurge isn’t for every Orlando adventurer. But if you’re looking to make a big impression and you’ve got the cash to spare, it’s a great way to celebrate a special day or a landmark occasion. Open to guests ages 6 and up (those ages 12 and under must have a paid adult chaperone), the all-day experience shadowing a Discovery Cove trainer includes an exclusive two-dolphin “double-foot” push, an enhanced deep water dolphin interaction and opportunities to feed, learn about, meet and greet a variety of tropical fish, birds and mammals. Breakfast, lunch, snacks, drinks, use of snorkel gear and a wetsuit, and 14-day consecutive admission to SeaWorld and Aquatica Waterpark are also included in the package. Professional photos are available, but are not included. Florida residents receive a generous discount. Call 877-557-7404 or visit Discovery Cove’ Web site for information and reservations. 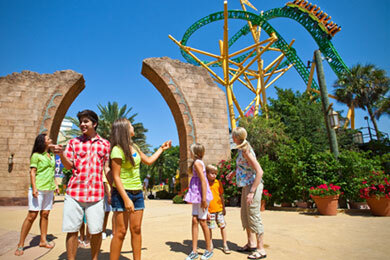 Do you want to skip the lines and see all that Busch Gardens Tampa Bay has to offer in a single day? Then the Elite Adventure Tour, a seven-hour VIP experience, might be right for you and your crew. Taking guests behind the scenes and to the front of the line at the 335-acre Tampa family adventure park, the interactive, customized private group tour will bring you up close with wildlife, as you view and feed giraffes, rhinos, elephants and exotic birds, and learn about animal behavior, habitats and conservation from an experienced guide. Plus, you’ll get to experience popular rides without delays, including the major coasters. Park admission is an additional cost, and is required. Continental breakfast at Sultan Sweets and lunch at the upscale Crown Colony restaurant, which overlooks the scenic Serengeti Plain, are included. Kids under 5 are permitted, but may not participate in the Serengeti Safari portion of the tour. Official photographers are stationed throughout the park. You can purchase photo packages at the park’s Adventure Photo desk, but if you want to capture the highlights of your special day, it’s a good idea to bring your own camera. Additional tour options, all for ages 10 and up, include a 90-minute “Tiger and Orangutan Keeper Experience,” a 90-minute “Heart of Africa Tour,” a 90-minute “Elephant Keeper Experience” and a 3.5-hour “Roller Coaster Experience Tour” — a behind-the-scenes look at ride engineering, combined with an opportunity to experience the thrills of a rollercoaster ride from a new perspective. Children ages 5 and up can participate in a 30-minute “Serengeti Safari” (jeep ride) and a 45-minute “Jungala Insider,” a walking tour. Call 1-888-800-5447 or visit Busch Gardens’ Web site.